Beauty in the day: my almost 3-year-old grand-daughter commissioned a drawing from her mother. 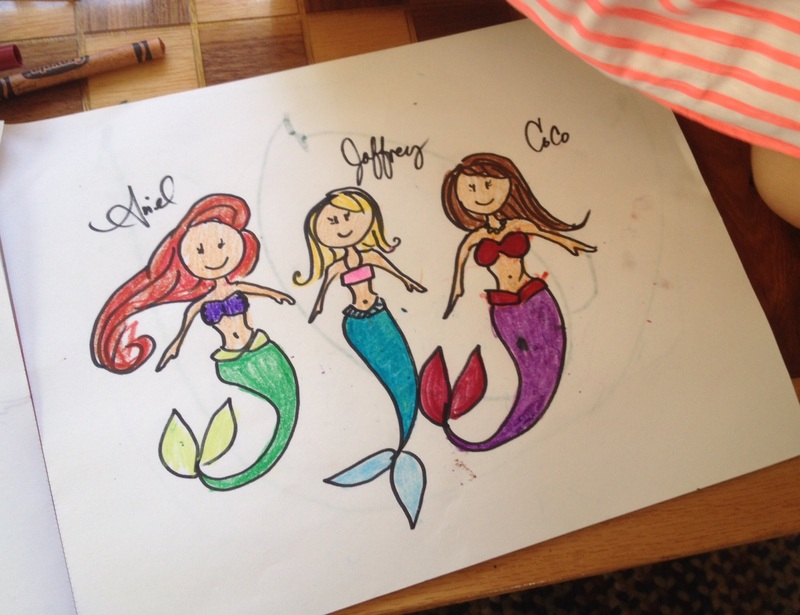 It was of Princess Ariel, herself, and Me, all as mermaids. The resemblance of mine is uncanny. I mean, we’re both brunettes. Beauty in the day: yeah, so the Staff Lounge. It had the upper-hand, with it’s 2 refrigerator/freezers and 3 microwaves. There was a bit of a struggle, and it didn’t help that the District has turned off the air for the summer. 😠 My assistant and I took ZERO prisoners – the Staff Lounge is once again a safe place for all. It doesn’t sound much like a “beauty” to report; but that’s because you have’t seen the before and after shots.